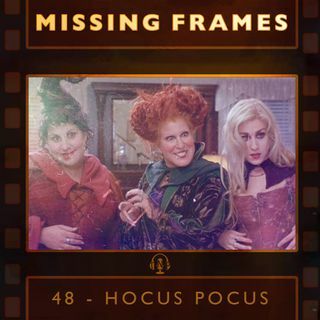 Even though it's officially November, Missing Frames managed to fit in one final Halloween movie. This time around Sarah Eastridge and Alexis Bethea show Shawn one of their favorite cinematic staples of the season: Hocus Pocus. Will Shawn enjoy Hocus Pocus, or is this one strictly drive by nostalgia? Tune in to find out.